Japanese company admits "conjecture" has caused "anxiety"
We recently reported on an interview with Konami boss Hideki Hayakawa which stated that the company was putting all of its eggs in the basket marked "mobile". However, these comments were translated from what was little more than a summary of the interview and the full, official transcript - which has been published today - makes the Japanese publisher's position a little clearer. In short, it's not all doom and gloom. ...lacked the necessary context and caused unrest within our key stakeholders including our community, members of the press, our partners and our fans. We are aware that the conjecture surrounding our recent changes has prompted a great deal of anxiety, for which we apologize. Recently we often hear the term 'Mobile First', and I want to specify that Konami's idea of 'Mobile First' is not at all to focus purely on mobile games. Our aim is to continue to build up a comprehensive portfolio of console, arcade, and card game titles for each IP while also making the best possible use of the mobile devices that accompany our customers in their daily life, thus expanding the limits of entertainment and appealing to more and more customers. In enhancing our approach, we have started introducing additional monetisation models to games such as Jikkyo Powerful Proyakyu and World Soccer Wining Eleven [PES], allowing us to generate additional revenue from intangible additions rather than simply sell products once and move on. Through these initiatives, we have found that even customers who bought packaged console games potentially have high motivation for game monetization. In mobile games, we constantly pursue KPI [key performance indicators] such as users' continued usage rate and paid service usage rate, and we have built up a solid understanding of how to adjust our products to maximise these figures. For mobile games, we are always considering what types of titles to release in overseas markets such as the US and Europe, but actually Japan is our primary market for mobile content. I believe that the overall game market will continue to grow, with mobile devices as a driving force. I believe that individual IPs will be made available across various devices, and so eventually it will become meaningless to categorize the market. The role of the mobile platform will be to connect people with their games across various devices, and so the methods and presentation employed in distributing information on mobile devices will be critical. We would also like to take this opportunity to state that the Metal Gear and Silent Hill series, both beloved by countless fans around the globe, are also extremely important to Konami. We have nurtured them with care over many years since their inception, and will continue to produce products for both franchises, but we are not currently at a stage where we can announce the path these future titles will take. 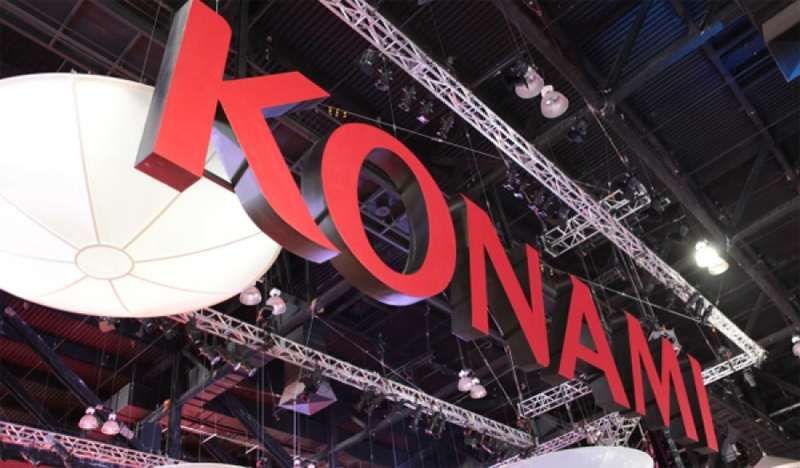 Konami will continue to embrace the challenge of creating entertainment content via different platforms; across not only mobile platforms, but for home consoles, arcade units, and cards, to meet the changing needs of the times. While Konami is clearly still looking at mobile as a key area of its business, Hayakawa's comments - now given more context - don't paint quite as bleak a picture of the company's console future. Whether or not that means we'll see Konami bring its games to the Wii U - or boost its flagging support of the 3DS - remains to be seen. This is not Nintendo news. Konami is done with Big N. And clearly the people at the top for Konami don't know what they are doing. The end is nigh. Good. Now go beg Kojima's forgiveness. Yeah, that's what you get when you try to emulate the reaction mobile has effected on Nintendo stock. I'd do that if it got my stock to trade limit-up twice with additional gains on a third straight day, too. I really rue what they did to Hudson Soft, though. I know that a lot of former employees are now working for Nd Cube, but all they seem to be working on are party games. I do believe that Hudson Soft used to develop Harvest Moon, why don't they work with Natsume for that? I seriously hope Capcom never said these words ("We would also like to take this opportunity to state that the Metal Gear and Silent Hill series, both beloved by countless fans around the globe, are also extremely important to Konami. ", just swapping the company names and the franchise name with Mega Man) about the blue bomber, otherwise it's a bad omen of things to come and, well, Castlevania/Metal Gear/Silent Hill fans would be screwed. Make up your mind, either die already or put out some products and stop talking about nonsense. I don't think Hudson Soft has done ANYTHING Harvest Moon. They were developed by Marvelous up until recently. And Harvest Moon isn't Harvest Moon anymore. It's Story of Seasons. It was a translation summery comment that was only a piece of the full thing. Their minds didn't change gears, then change back. @DarthNocturnal My memory is failing me, sorry. Part of me now wonders how they would've done should the PC-FX had been a Saturn-tier success. Atleast Iwata-San was better then him in a way that he made things clear even before confirming that they are making phone business and stuff. Never thought parts of my childhood would die off one by one like old friends. Maybe it sounds silly but, thats kind of what today's gaming industry feels like to me overall. I really hate playing anything on an iPad or smartphone. I'm gonna be one cranky old gamer someday. I actually just made a slight error as well. Marvelous is still making the same series that has been localized as Harvest Moon, but since XSEED is localizing them now, and since Natsume still owns the Harvest Moon name, it's been renamed Story of Seasons. "We would also like to take this opportunity to state that the Metal Gear and Silent Hill series, both beloved by countless fans around the globe, are also extremely important to Konami." Sure they are. Which is why you unceremoniously dumped the guy who was the heart of the former series and nuked one of the most anticipated and ambitious horror games of all time that was supposed to become the rebirth of the latter series. I hope they do go full mobile so I can ignore them completely. Watching this shell of a company stagger around the console marketplace any longer is only going to cause pain and confusion to its former fans. back it up with games Konami. Konami should just reboot Metal Gear now that Kojima is gone; the story makes 0 sense at this point. I bet this is patch work for stocks dropping as a result of the change to mobile games announcement. "We would also like to take this opportunity to state that the Metal Gear and Silent Hill series... We have nurtured them with care over many years since their inception"
Dropping Kojima's name and the Silent Hill HD collection seem to indicate otherwise. Hopefully, we'll get the next 3 Castlevania from Ds on the WiiU Vc. Crossing finger ! @Utena-mobile You forgot the cancellation of Silent Hills. Meh. Call me when you're back to your former self, Konami. I don't trust them one bit. Remember, Konami still canned Kojima and killed one of the most hypest games this generation, so be wary of their backpedaling. Ohhhh. Konami if that's the case then you've got zom MAJA makin up ta do. Mmm... Sounds like backpedaling. Errors in translation are credible enough but it just seems like damage control after firing off the mobile gaming clip and not getting the projected reaction their focus group told them they would. > "We would also like to take this opportunity to state that the Metal Gear and Silent Hill series, both beloved by countless fans around the globe, are also extremely important to Konami." @Igmx Yes I think they have abandoned Castlevania after the lord of shadows games that While not terrible games did not live up to their hype/potential and the side scrolling games kinda faded to the niche catagory around the DS era. WHY can't have UN Squadron for the Virtual Console?? Haven't bought anything from Konami since the DS. At this point they might as well sell their asset and just go the way of Atari. Uh-huh, SURE they are...only time will tell. Contra is dead, Goemon is dead, Castlevania is dead, Twinbee is dead, Gradius is dead, Parodius is dead, Sunset Riders is dead, Snatcher is dead, Suikoden is dead, Rocket Knight Adventures is dead, Jackal is dead, Zone of the Enders is dead, Boktai is dead, and Hudson Soft as a whole is dead. Why should I believe any differently in regards to Metal Gear or Silent Hill? Get out of the game industry already. You're already worthless and you don't even realize it. After metal gear 5 that pretty much is their last relevant game. For the this gen. They cancelled the silent hill game, they destroyed castlevania, and metal gear is nothing without Kojima. And they aren't making games for Nintendo consoles for about two years now and that's not changing by much in this horrible future they have. So if you have the other had consoles that have mg5 play that and know it will be the last great game from konami. I stole this joke, but Konami should apologize for being Konami. To be honest, "not turning its back on consoles" still isn't really a correct statement. Konami did that about two or three years ago, when all they did was trying to push their IP's in the worst imaginable direction possible for them: the AAA market, where none of these games belong. That said, it's at least positive that they realize how much they messed up with their "mobile-only" announcement. It won't bring them back up, but at least a few people there aren't insufferable egomaniacs. Don't forget Bloody Roar and Lost in Blue/Survival Kids. Not really sure if Jackal and Sunset Riders count, as they were kinda one-shot deals anyway. Also, we can forget about Konami returning to any of the TMNT games since Ubisoft has been doing their part to completely ruin the series. Thanks for clearing that up Konami. It makes me and I'm sure many people happy to hear this. Thank you. Now can you please release all those great PCEngine games on virtual console. @Samwise7 Well, first of all, that was Capcom, not Konami. Second, since U.N. Squadron is based on an anime, they'd have to renew the license for it; which they either might not be able to do, or don't think it would be worth it. I'd buy it day one if they did, though, because that's one of my favorite SNES shooters. I wonder if they've taken note of the bloodstained kickstarter.if that game sells then i reckon castlevania will become a priority again. Squaresoft does it. Konami already have an port of that game "Contra"
@Angelic_Lapras_King I 2nd that request!! Why would Konami not bring any of those wii u vc turbographx 16 games over here to the states!!! Wtf?? Japan has 32 of them!! We have zero!!! Cmon!! "Konami Not Turning Its Back On Consoles After All"
Everyone could have guessed as much if they read the original article. The thing is, much of their focus will go towards mobile. And as we all know, if they make more money there they will eventually leave the console-market. Nintendo will go the same way. Every developer may go this way. @Henmii Many developers already tried to go this way and quickly abandoned it. Recent example: Sony. They even made their own PlayStation phone. And you have to consider, the PlayStation brand name is as mainstream as you can get. Since the PS1, the term "PlayStation" has become a synonym for games consoles, much like "A Nintendo" back in the day. And even that didnt draw any attention, customers or interest. And this wont magically change over night. People gaming on mobile devices seem to have goldfish memory: "Maybe this is good...nah, it isnt, maybe this is good....nah, it isnt"
Mobile gaming lives by the Gangnam Style phenomenon. Its at its peak when a rather random games starts trending for whatever reason. Like Flappy Bird. Its not a good game, no matter how you look at it and yet, it sold like crazy because, well, people. And should such a phenomenon not occur, its just another game in the sheer endless pool of other games. Does it cost money ? Then its already less interesting then the majority of other games on the service. Is it free but needs to make revenue with microtransactions ? Then its already heavily shunned. A major game developer making the same amount of money with mobile games as they did with console / PC games simply wont happen, at least not without a metric ton of miracles and pixy dust. a Japanese developed traditional 2D sequel to Super Castlevania IV, 'Team Silent' doing the next Silent Hill and an all new Contra would resurrect my faith in krazy Konami. As is, they are a mere shadow of their former selves, even more so than Capcom. I just want Konami to restore Silent Hill to its former glory. @Seanmyster6 Yeah I looked it up after I wrote it and realised my error. Nevertheless I loved it, I wish they'd sort it. @WaveBoy Perfect. Super Castlevania V and a new Contra would be ideal. Nintendo have proven with A Link Between Worlds how it can work so well. Konami feels that gamers don't care for these types of games anymore. I predict a Contra kickstarter in the near future if this spiritual successor to castlevania becomes successful. @Samwise7 I wouldn't blame you for not knowing it was anime-based, considering the anime is actually called Area 88, not U.N. Squadron. "A major game developer making the same amount of money with mobile games as they did with console / PC games simply wont happen, at least not without a metric ton of miracles and pixy dust"
And yet they are all itching to try it. Because if they succeed........oh, the money!! I can't imagine a free to play game like Pokemon Rumble costing a lot of money to make, thus every diamond sold is pure profit for Nintendo. Mark my words, this is the future of all developers.